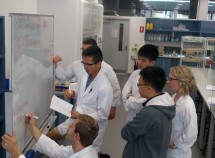 Twelve undergraduate biomolecular science students from Macquarie University are set to compete in the International Genetically Engineered Machine (iGEM) competition, which will draw students from around the world to a jamboree style event in Boston, Massachusetts, in late October. 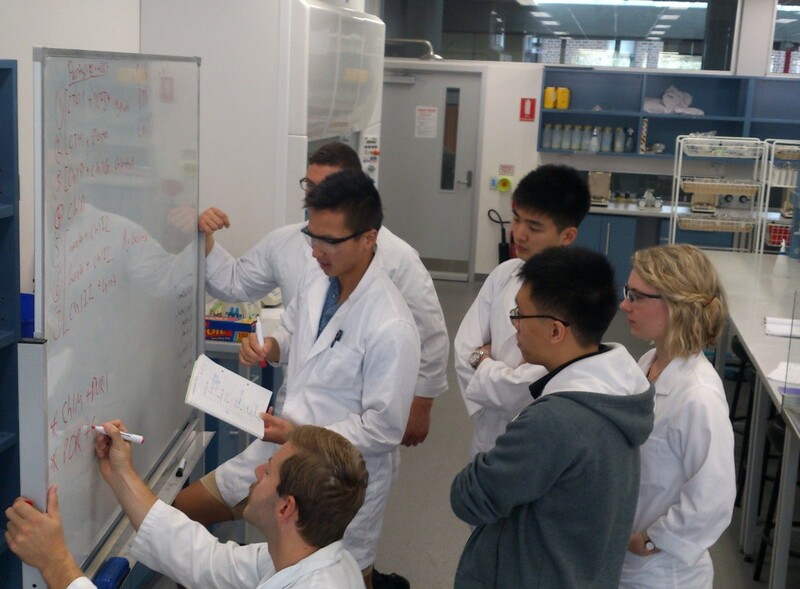 This year the Macquarie University team are trying to synthetically create bacteria that will produce chlorophyll. This student-based project has the potential to lead to the production of hydrogen biofuel using bacterial cells. The team believes that this will be a milestone in both the development of a renewable energy source, as well as in deeper understanding of the genetic mechanisms behind photosynthesis. This year he hopes that the Macquarie undergraduate team will achieve significant honours at the event, and put Macquarie University on the world map for novel synthetic biology research. A significant part of their project involves spreading awareness of this new and exciting field of science. Towards this the Macquarie 2014 iGEM team have developed an online reality contest titled “SO YOU THINK YOU CAN SYNTHESIZE”. Visitors of the site can vote for their favourite contestant over a period of five weeks. The winner will claim the title of “Ultimate Synthesizer” with a prize up for grabs for the best user-submitted question. Visit www.sytycs.org for details. Team correspondent, Alice Fielding-Smith says, “Our project not only involves novel scientific research but also uses creative outreach programs to help eliminate fear and misinformation regarding the new and exciting field of synthetic biology.